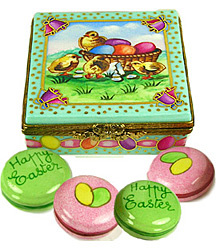 Find Spring and Easter Limoges Boxes at Bonnie's Limoges! 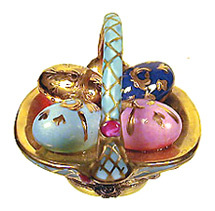 You're sure to find in our Limoges box collection lovely treasures for your own collectio n, or a thoughtful and perfect expression of love and good wishes for any occasion (though a Limoges box gift really doesn't require a special occasion; a thought of a special loved one is reason enough!) For our many Limoges box themes, you will find what you're loooking for by using the product menu above. 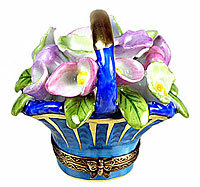 Bonnie's Limoges presents an exquisite collection of first quality, authentic Limoges boxes from France. Each piece in our line has been lovingly hand painted and detailed on beautiful, world-renowned Limoges porcelain by exceptional porcelain artists in Limoges, France who follow the traditions of Limoges box painting handed down from centuries past. We're sure you will love our selection, service and prices. 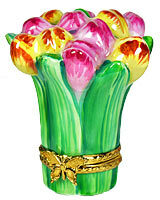 And we offer free ground shipping within the US when more than one Limoges box is purchased! All of our Limoges boxes have been and painted by hand in France. Each bears the prestigious Limoges France insignia. Many importers, such as Rochard, also have their company stamp added. The French words "peint main", "peint à la main" or "dècor main" all indicate that our Limoges boxes are entirely hand painted, though occasionally some studios will use the English "hand painted" for the American market of Limoges box collectors. Each Limoges box comes to you carefully packaged in a lovely gift box with certificate of authenticity. Each beautiful Limoges box in our line was personally selected with a discerning eye for exceptional ainting and detail. We take great pride in offering our customers the very finest pieces, and we carry the finest names including Artoria, Chamart, and Rochard. We offer an absolute guarantee that you will receive only authentic, first quality French LImoges boxes when you order from Bonnie's Limoges. Many Limoges boxes are numbered, some in limited editions. 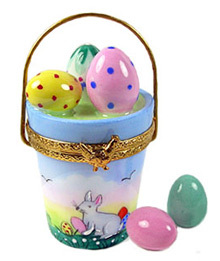 Often a small porcelain "surprise" is placed inside to add to the delight when the box is opened. 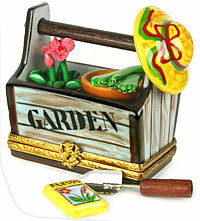 Most Limoges boxes have an imaginative and clever small painting inside that fits with the theme of the box. Limoges porcelain boxes were first collected by French royalty and nobility over two hundred years ago, and that same fascination with their captivating beauty and charm continues among collectors to this day. 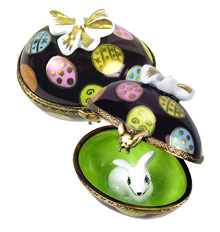 Captivating to look at, delightful to hold, Limoges boxes make thoughtful and personal gifts. Their almost limitless designs -- from the elegant classical styles to the delightfully whimsical -- have some thing to match everyone's taste, interests, and hobbies. The gift of a Limoges box is a wonderful way to commemorate life's special occasions, celebrations, and milestones, and a most romantic way to present an engagement ring or other small piece of jewelry. 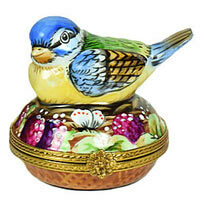 We love shopping for new Limoges boxes as much as you do, and we regularly add new styles to our collection. Do add us to your favorites or bookmark us and check back often! We're also happy to place special orders fromthe many vendors we represent, and can have current, in-stock pieces from their lines delivered very quickly. We hope you will contact us with any inquiry or special request. We love hearing from our customers and fellow collectors! 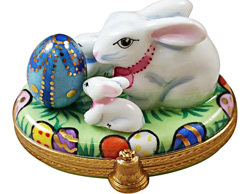 We have a large and beautiful Limoges box collection that we are sure will charm and delight you, and we invite you to browse our entire catalog by clicking on a category in our menu.